You have months of warm weather and fun ahead of you. Don't waste a minute of it on car repair. 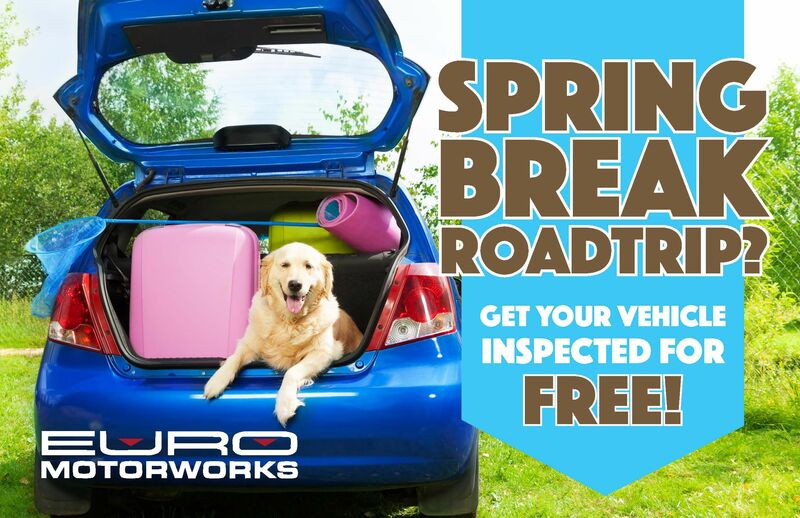 Take advantage of this exclusive offer for our exhaustive FREE SPRING INSPECTION and you'll have peace of mind all summer long. Inspection performed by one of our award-winning, ASE and Bosch Certified Master Technicians. Complete itemized and prioritized report for your vehicle. Personal consultation with our service manager to plan for your vehicle's present and future needs. 10% off all labor valid for up to a total discount of $100 on any service performed during the spring inspection. Oil changes excluded. Schedule today by calling 317.595.9272 or submitting this form.